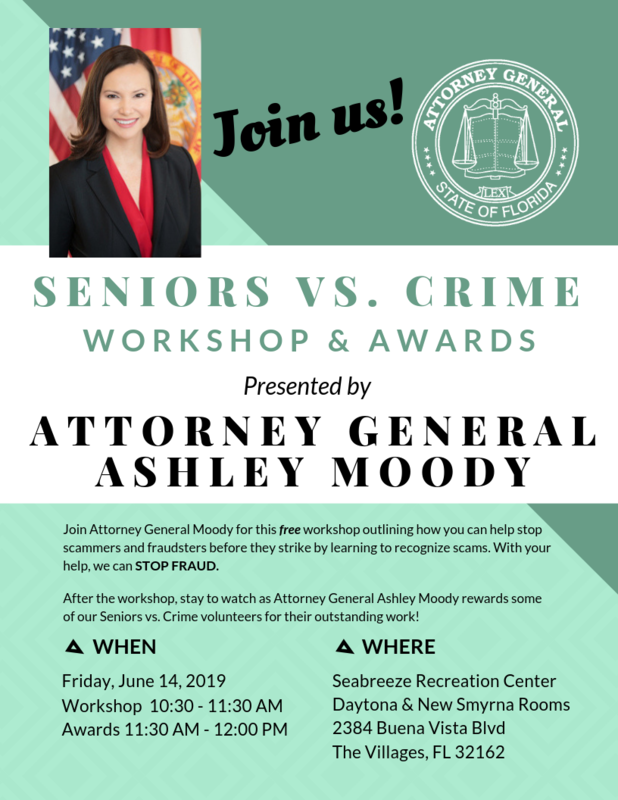 In recognition of National Volunteer Week, Attorney General Ashley Moody is highlighting Seniors v. Crime volunteers. Seniors v. Crime is a special project of the Florida Attorney General’s Office. Hundreds of volunteers called Senior Sleuths work through the program to assist the Florida Attorney General’s Office and local law enforcement with civil and criminal investigations.